Domestic Violence Awareness Month: What is Domestic Violence? October is domestic violence awareness month. Domestic violence is only two words but also one big concept. Formerly known as “wife beating,” domestic violence is sometimes used interchangeably with the phrase intimate partner violence, and including a number of individual abuses, domestic violence is a problem that impacts individuals but must be addressed as a nation. 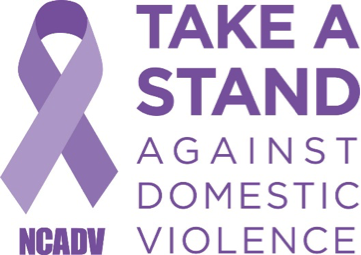 Domestic violence is an epidemic affecting individuals in every community, regardless of age, economic status, sexual orientation, gender, race, religion, or nationality. Understanding what domestic violence is and the many ways it can show up in relationships is the first step to creating a culture that has zero tolerance for domestic violence. After all, how can you change what you can’t understand? What Does Domestic Violence Include? It’s important to note that domestic violence doesn’t always manifest in one specific way. Physical and sexual assaults, or threats to commit them, are the most apparent forms of domestic violence and are usually what makes others aware of the problem. But regular use of other abusive behaviors by the abuser, when reinforced by one or more acts of physical violence, make up a larger scope of abuse. Although physical assaults may occur only occasionally, they instill fear of future violent attacks and allow the abuser to control the victim’s’ life and circumstances. A lack of physical violence doesn’t mean the abuser is any less dangerous to the victim, nor does it mean the victims is any less trapped. Emotional and psychological abuse can often be just as extreme as physical violence. Locally, for more information or if you or someone you know is a victim of domestic violence, contact Advocate Safehouse Project in Glenwood Springs at 970-945-4439 or www.advocatesafehouseproject.org, RESPONSE in Aspen at 970-920-5357 or www.responsehelps.org, or the Bright Future Foundation in Avon at 970-949-7097 or www.mybrightfuture.org.